Regency Lake Village - See additional documents for more information. MLS#3413339. Wallace Realty. This is truly a must see!!! Home warranty included! MLS#3413058. Southern Homes of the Carolinas. Bring your best offer. Multiple offers received. MLS#3413221. Fathom Realty NC LLC. Upstair features a oversized media room and large unfinished storage space. Some design options are customizable. MLS#3411650. Pilot Realty & Development. Yacht Shores - Newly landscaped with new plants and Palm Trees providing great curb appeal. MLS#3412013. Carolina Realty Solutions. Huntwyck Place - Well maintained home is ready for its new owners. MLS#3412494. Southern Homes of the Carolinas. Home is immaculate and well maintained. MLS#3411545. 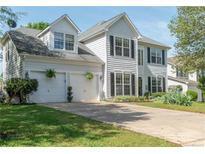 Lake Norman Realty, Inc.
Woodleaf - Actual home has same level of finishes with different colors. MLS#3410228. Lakemist Realty Inc. The Harbour At The Pointe - Boatslip 156 conveys and neighborhood amenities galore with Clubhouse, Pool, Playground, Walking Trails and Tennis Courts! MLS#3407435. Lake Norman Realty Inc. Excellent Location Close to Shopping & Restaurants with Low Iredell County Taxes & Award Winning Schools. MLS#3404277. The Allen Team Inc. Convenient location close to I-77 and Lake Norman with low Iredell county taxes. MLS#3407249. EXP REALTY LLC. Conveniently located off of Highway 150, close to everything! MLS#3406992. Lake Norman Realty, Inc.
Lakeshore Estates - It's like being on vacation every day! MLS#3406028. Allen Tate Mooresville/Lake Norman. The Point - Private Dock & plans attached show room for a Pool! MLS#3403409. Ivester Jackson Properties. Minimum social membership to TNGC Charlotte required. MLS#3405824. NextHome At The Lake. Indian Hill Estates - Great location! Must see to appreciate! MLS#3405049. Keller Williams Mooresville. Bells Crossing - The thoughtful floor plan features an open kitchen & light-filled great room, upstairs loft for flex space & master on main! MLS#3404353. Trump International Realty. Wellesley - Come see this wonderful home today! MLS#3400398. Eastwood Homes. The lots are carefully planned to maximize the lake life with plenty of room for outdoor living space. Dock included. MLS#3404319. EXP REALTY LLC. One of the only new construction neighborhoods in Mooresville with ½ acre wooded homesites! MLS#3404380. Essex Homes Southeast NC Inc.
Indian Hill - Invisible Fencing included. SO MUCH POTENTIAL! MLS#3396218. Allen Tate Lake Norman. Upstairs master with sitting area and upgraded bath, bonus room, & much more! MLS#3403169. Essex Homes Southeast NC Inc.
Low Mooresville taxes (county only) and no HOA's! MLS#3399058. Newport Properties.